As a fleet manager the type of vehicle tracking you will need for your vehicles is largely determined by the size of your fleet. As one might expect, a company with a fairly large fleet where protection of the vehicles is a top priority is probably going to use equipment that is more elaborate and a higher cost. 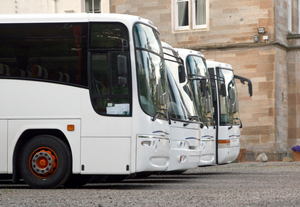 Smaller fleets generally use less expensive and not so complex systems that provide fewer functions. The great news is that new developments in technology are rapidly bringing less expensive products with some excellent qualities. It’s easy to make an expensive mistake so having worked in this industry for years I thought I would pass on a few helpful ideas. Real time tracking ensures that fleet managers have all information on hand, as and when they need it such as location, speed and engine/braking information. This can be sent and received in ‘real time’ giving a constant, up to the minute record of data. With a large fleet, economies of scale kick in; the company will have a central base station infrastructure or dispatch point. In this case vehicle units can be quite expensive and will need proper installation. There’s a lot of capital investment needed for this size fleet and only the big companies are going to be able to afford the long timeframe that is needed to gain a return on that investment. On top of that, these types of systems require a monthly fee and that can quickly become quite expensive. Small and medium fleets are going to look for less expensive tracking systems that will be easier to implement and maintain. This might mean using radios and a dispatch centre, mobile telephones and a central office with possibly a computer-based tracking process. Very small fleets may opt for a simple map and manual tracking. Many companies with a fleet of just one to ten vehicles do not use active vehicle tracking at all. This is often due to lack of knowledge of the significant benefits, and anxiety on cost. The latest technology available is radically changing the landscape. Now companies of all sizes can gain from efficient vehicle tracking at a low cost. There are systems available that use a small unit installed in the vehicle and a web based interface that is accessed by a standard mobile telephone, laptop computer, or PC. Check out our AutoAlert Monitor app.. The start-up cost of the system is extremely reasonable due to the relatively low cost of the vehicle unit itself. With no ongoing subscription or maintenance fees, operating costs are much less. 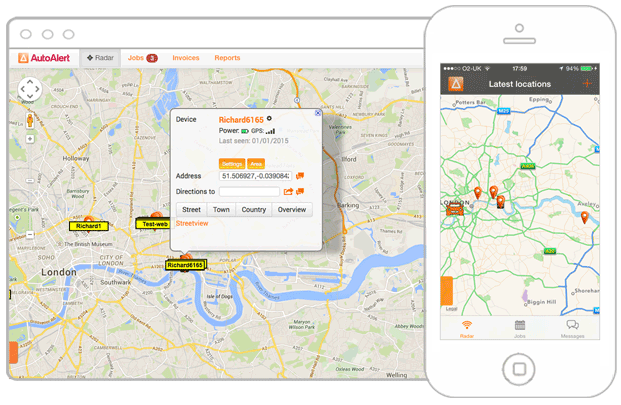 Fleet managers can access tracking information from anywhere with just their mobile telephone, meaning time is better used, getting out of their office and on the move. In a competitive business world, the use of efficient vehicle tracking can mean the difference between a fleet owner prospering or just getting by. You can easily start reaping the benefits just by installing a small, modern tracking device. A driver can even use an iPhone as an alternative to an installed unit within the vehicle. Simple to operate and economical, how good is that? A portable tracking unit requires no installation. Simply place on your dashboard and away you go. An installed tracking unit sends its location whenever the ignition is started. Mobile tracking. Download an iPhone application to send your location and/or the location of any other connected devices. Feel free to ask me about tracking, I have lots of tips I can pass on, be great to hear from you.